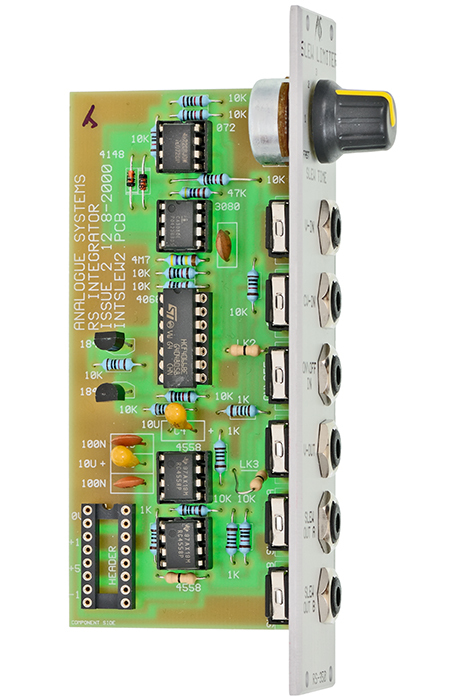 The RS-350 is a voltage controlled Slew Limiter that can be swithced on or off by a positive going gate signal which e.g. simplifies creation of TB303-like sequences. The signal at the V-in socket will be passed to a slew limiter circuitry and also looped through to the buffered jack V-Out. 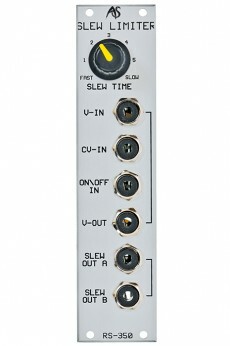 The slew limiter delays rapid voltage changes and smoothens them. A frequent use is creating portamento. You can also create A/D-envelopes with the limitation that both the rise and fall times are equal. 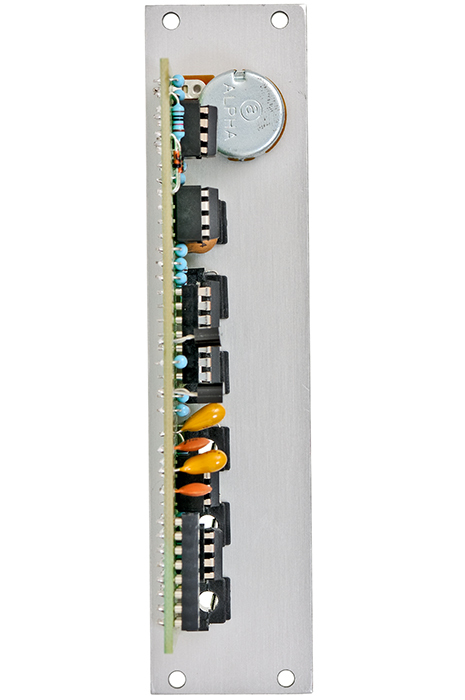 The amount of slew can be controlled manually and per voltage. The processed signal is present at the buffered outputs Slew Out A and Slew Out B.